Secretary of the HCMC Party Committee Dinh La Thang hoped that Japan will carefully study and select one of projects calling for investment in HCMC to soon implement the new Public Private Partnership (PPP) model, which has been implemented successfully in Japan’s Aichi province on November 3. 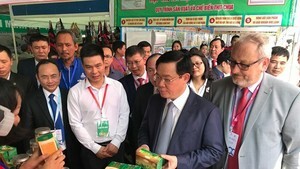 The city secretary suggested Japanese side to pay attention to the lengthened stretches in Binh Duong and Dong Nai provinces of Ben Thanh-Suoi Tien metro route which is under construction in HCMC. 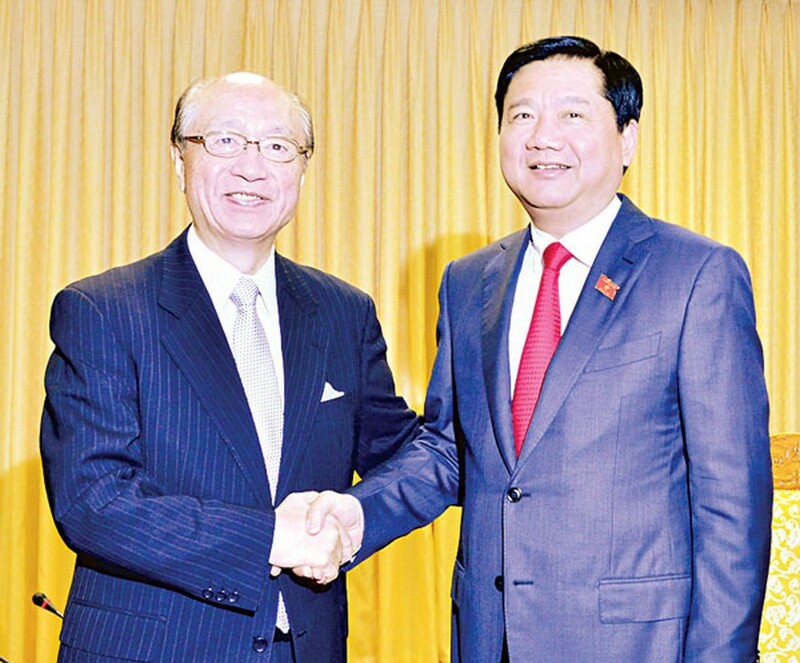 He made the statement at a meeting with Japanese former Minister of Land, Infrastructure and Transport Takeshi Maeda in Hanoi, when Mr. Maeda introduced the new PPP model. The Japanese side would work with the Vietnamese Ministry of Transport and HCMC to choose a project to pilot the new PPP model, Mr. Maeda said. It is expected to implement in March next year if advantageous, he added. The PPP model requires the government and businesses to share profit and risks together. Specifically, the both sides will work to determine traffic flow expected in a route which will be built under the new investment mode. If the traffic flow is in fact 6 percent higher than the expected number after the route opens to traffic, the Government will share risks with businesses. In case the rate higher than 6 percent, the both sides will share profit. Businesses will not be allowed to increase toll level themselves. They will have to discuss with authorized agencies and get their approval before increasing the toll. Besides roads, the model will develop commerce and transport works along the route to contribute in local socioeconomic development.